One of the easiest ways to speed up your Mac is to cut down on the autorun application during startup. Here is how to stop programs running on startup in Mac. Curating your startup programs is the best way to ensure your Windows 10 boots up fast. AutoHotKey is a Windows app that creates quick custom keyboard shortcuts and automates tasks. Here’s how to schedule AutoHotKey to start up with Windows. Is Windows 10 loading slower than you’d like? Luckily, there is a way to improve its startup time by using the included startup app manager. Here’s how. Here are some of the best startup managers for your Windows PC that act as perfect replacements for the default startup manager. To effectively manage your startup items in Windows and improve the system bootup time, Autorun Organizer is the tool for you. Too many items in your startup list can slow down your Windows boot up time. Learn how to use Autoruns to effectively manage start up programs and processes. In Windows 8, Microsoft has totally revamped the task manager. In this guide, we will show you how to make good use of the new task manager in Windows 8. Do you have a lot of startup applications in Ubuntu that slow down the whole startup process? Here is how you can manage startup applications in Ubuntu. Don’t you hate it when you need to get an urgent task done and yet your computer is taking ages to startup? This article shows you how to disable startup applications and make your PC run faster. 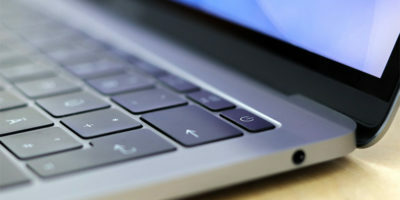 Do you have a lot of Login Items on your Mac that are slowing down your startup time? Learn how to fix this issue with DelayedLauncher. In most situations, you will want to have as little apps running during startup as possible, but what if you want to do it the other way – force a particular app to run during startup? Here is how you can do it in Windows 8. A startup profile is the set of services/applications that get loaded on Windows startup. While Windows comes with a default set of profiles, you can easily create a variety of startup profiles, each geared toward different purposes, like gaming, work, relaxing etc. In this tutorial, we will show you how to set up and save your own startup profiles and switch to it. Measuring the speed of your startup allows you to find out how much time you have saved after implementing the speed up measures. 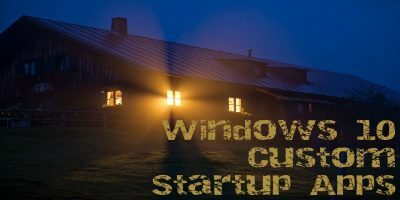 Here’s a quick way to measure and speed up your Windows startup.